I apologize for not updating sooner. Thank g-d, we have all been busy with good things: crafts, activities, baking and playing. 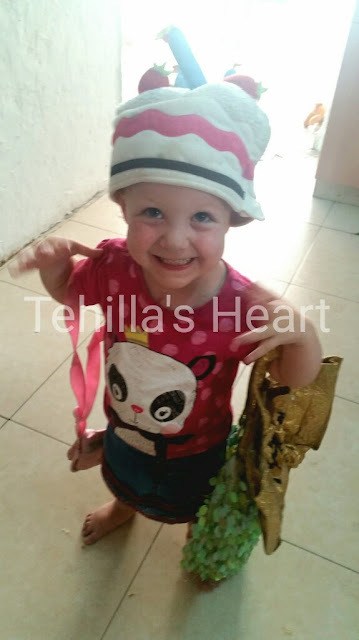 Tehilla is now 4 weeks after heart surgery. She is full of energy and sass, giggles and temper tantrums. We are still keeping her away from everyone, which is challenging but necessary. 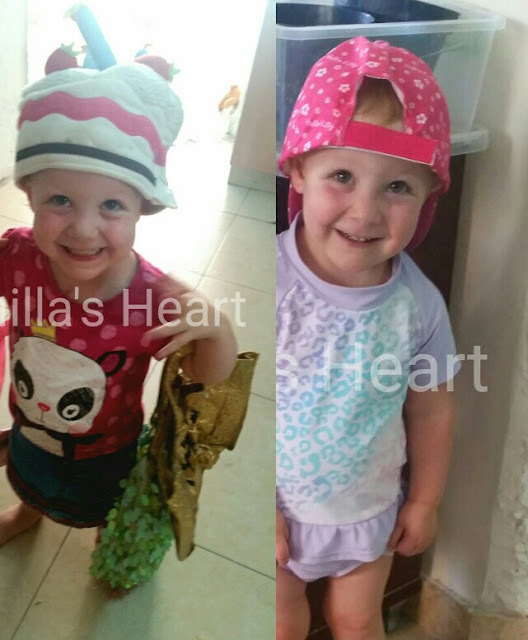 Tehilla spends her days playing with Mechal and Tzviel, singing, playing with her toys and usually causing some sort of trouble. Her scars are healing very nicely and she is no longer afraid of the bath at all. Today, she kept dressing up in costumes and announcing all the places she was going and the things she needed to buy. I'm attaching a comparison picture of Tehilla before the surgery and after. I keep marveling at her skin tone. It's so perfectly pink and un-muddled. You can see if you look closely that in general she is far less purple, but especially near her eyes and nose. Her fingers were always purple and it's nice to see her pink fingers and toes now. Tomorrow is Tehilla's cardiology appointment. 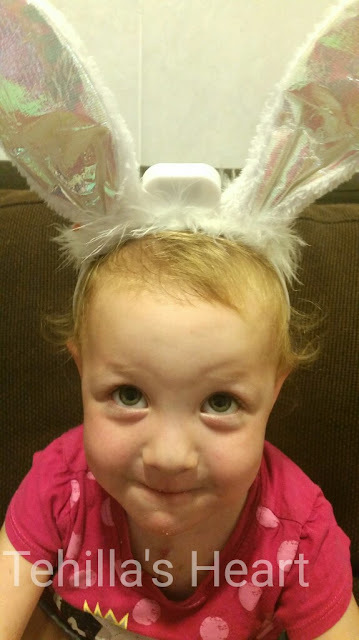 She will have an echo and we will receive the results of her Holter monitor. There is a lot riding on this. The results can vary to the extremes. Please pray that we receive clear answers regarding her heart rate tomorrow. I will update the blog throughout the day tomorrow. Nice to hear from you Tehilla, you look gorgeous! Complete healing in the power of HaShem.